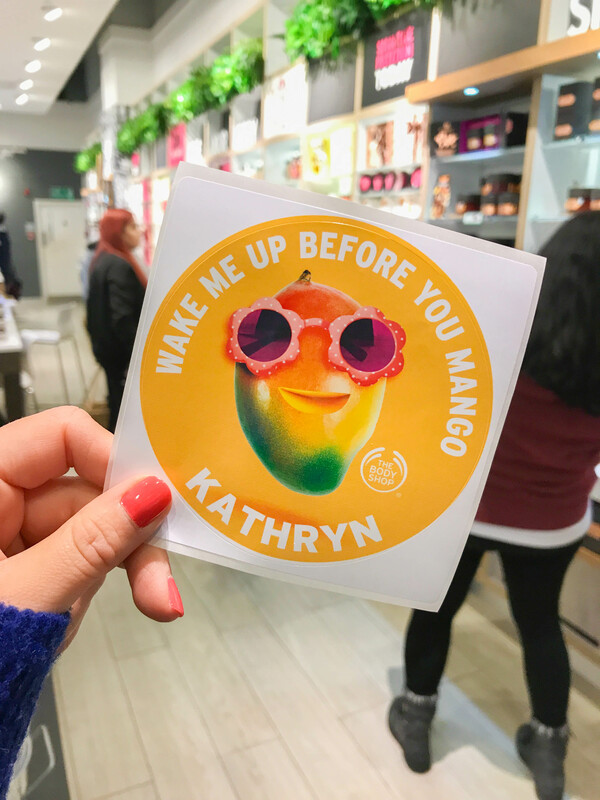 Summer Launches at The Body Shop, West Quay - Kat Got Your Tongue? 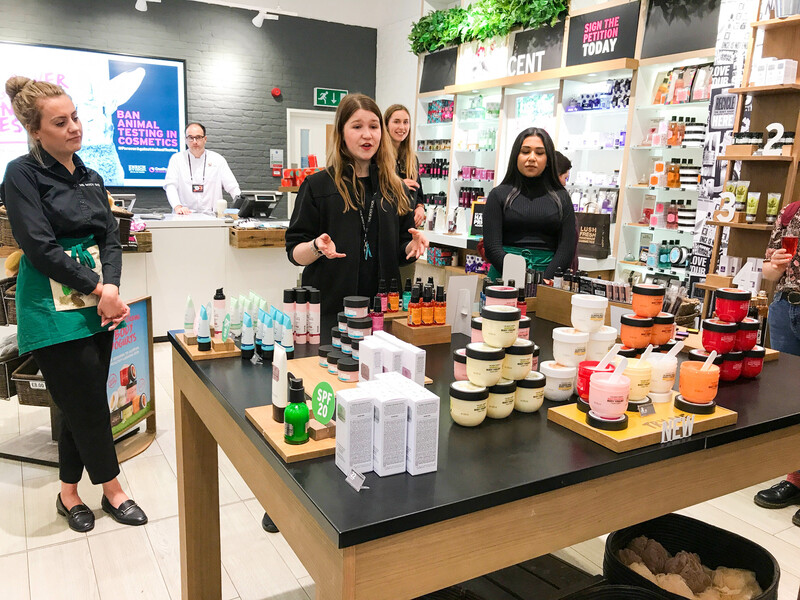 Last week I was invited along to The Body Shop at West Quay for an evening of pampering, to celebrate the launch of their new Summer ranges. 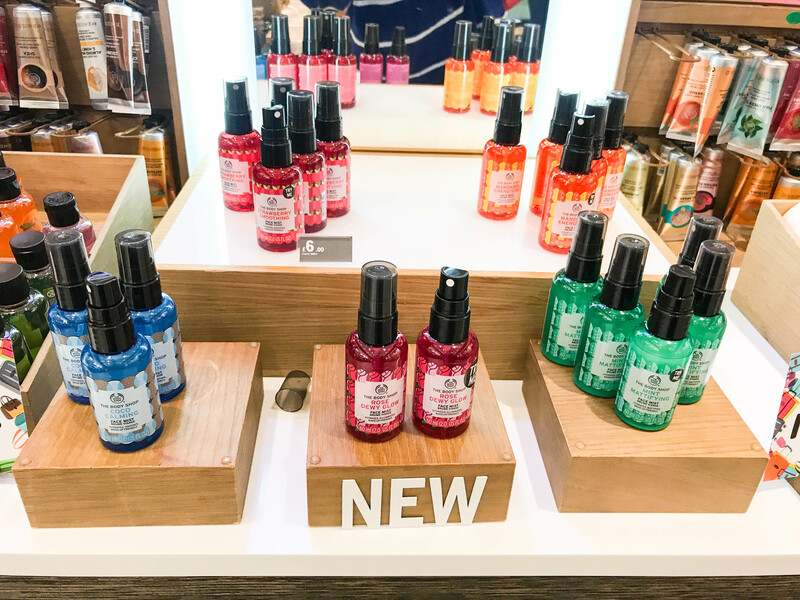 They are releasing two exciting new formulations, and the products in each of the ranges all smell amazing! 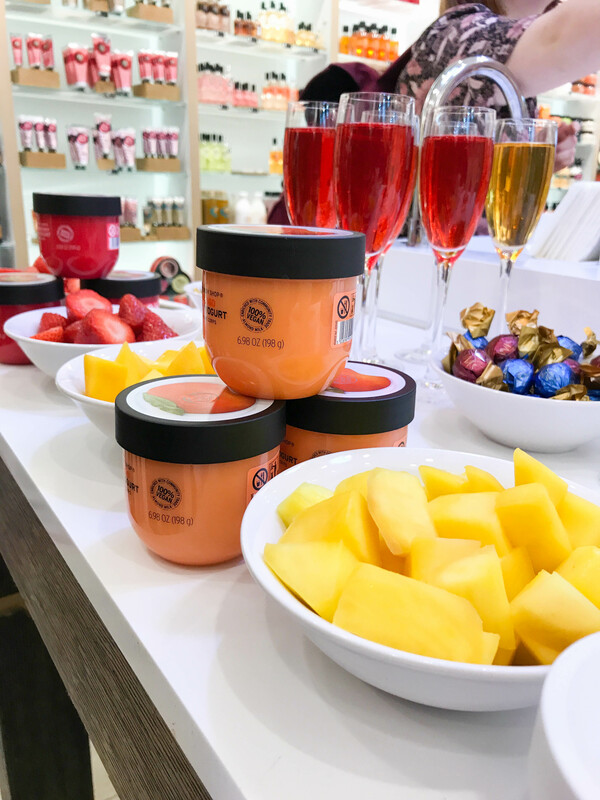 One of the launches is a brand new line of Body Yogurts, which are a light, gel-cream texture and absorb into the skin in just 15 seconds – perfect for Summer, and excellent if you hate feeling greasy! 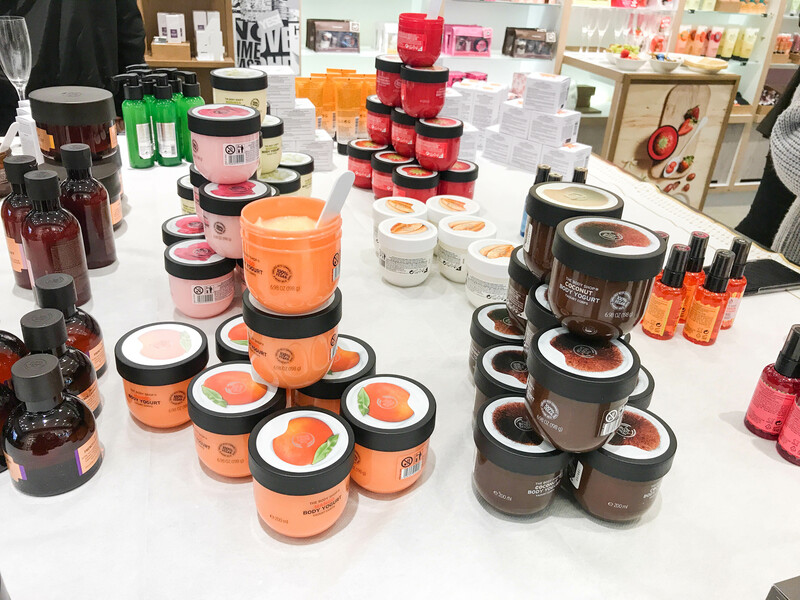 The Body Shop are releasing this range as an alternative to their famous Body Butters, which can be a little heavy on the skin. 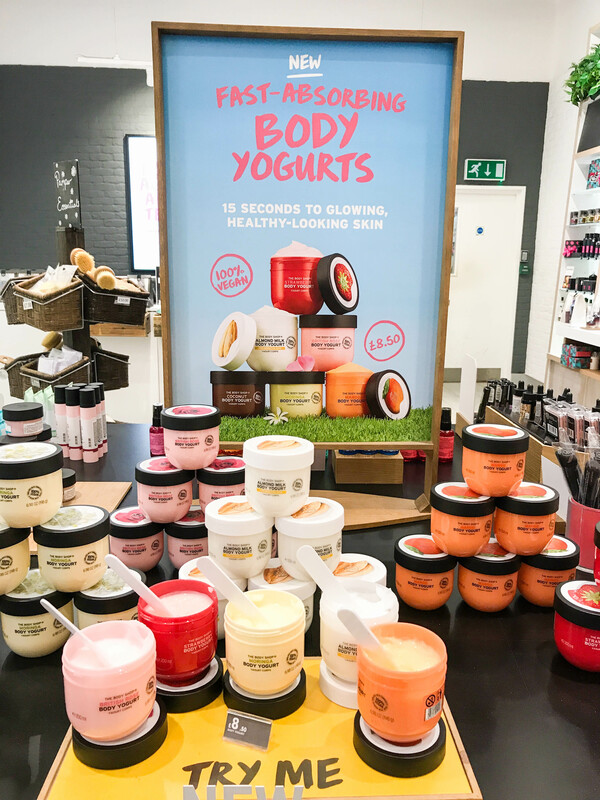 Personally, I’ve never really got on well with the Body Butters, but the new Body Yogurts are really lovely to use, and are already a favourite of mine! 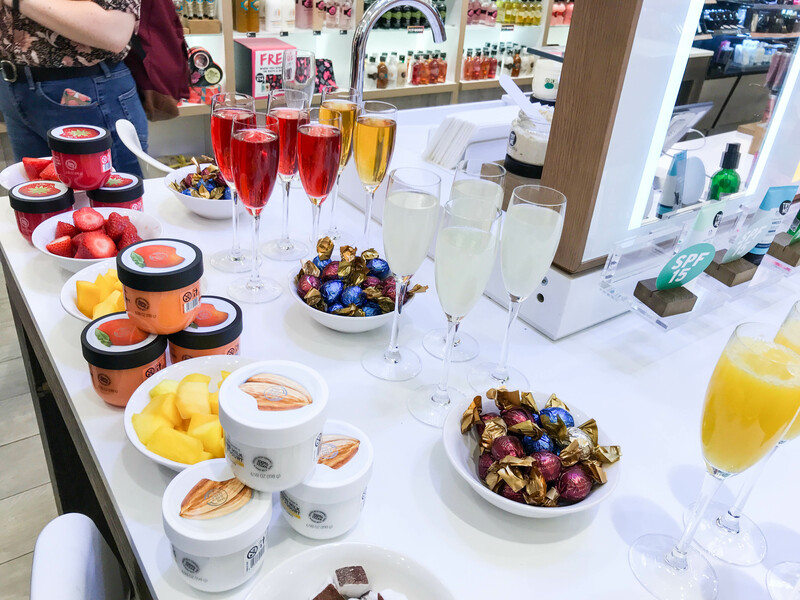 The Body Shop are also proud of the fact that every new launch since the beginning of 2018 has been 100% vegan – including their Strawberry Shampoo & Conditioner which I love. 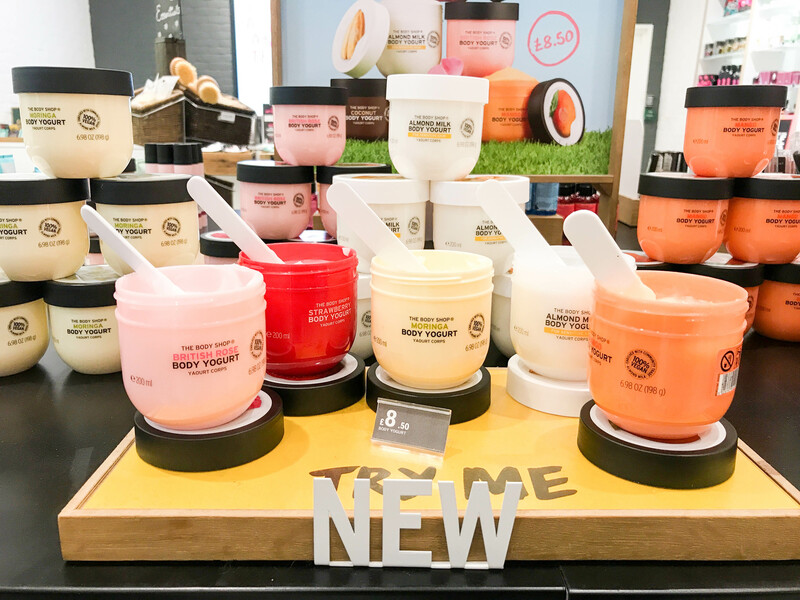 At only £8.50 each, the new Body Yogurts are fantastic value, as the gel-cream formula goes a long way and means that not much product is needed each time you apply. They come in the following scents: British Rose, Strawberry, Moringa, Coconut, Almond Milk and Mango. They all smell beautiful, but my personal favourites (at the moment!) are the Almond Milk and Mango ones. 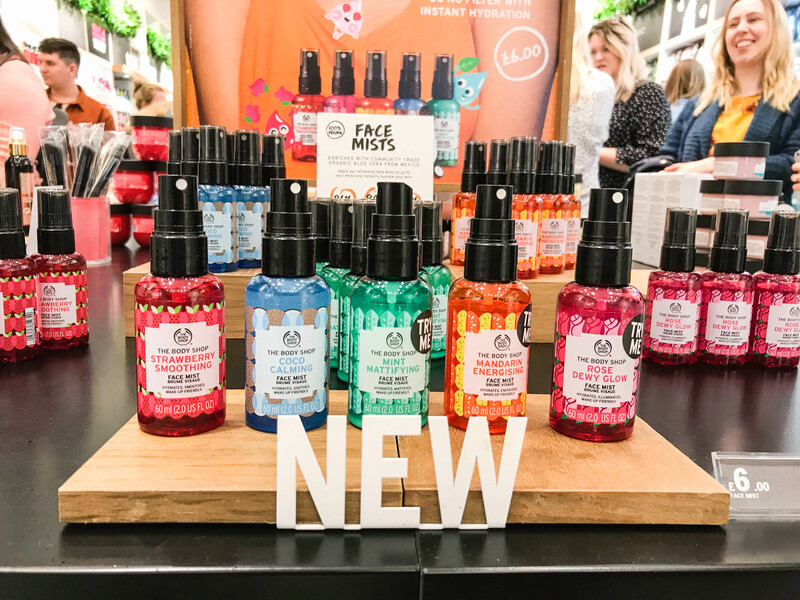 The other exciting launch is their new range of Face Mists, which have been re-formulated and are replacing the existing ones – and these are so much nicer in my opinion! 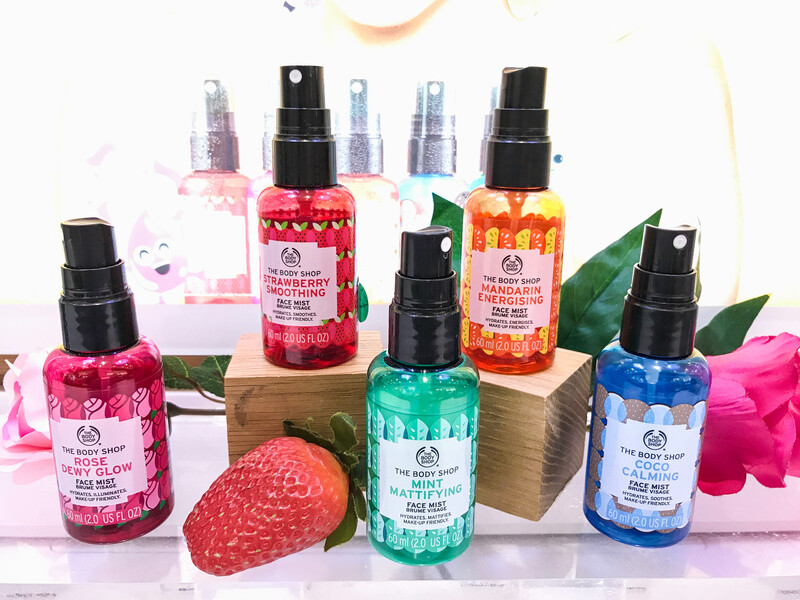 There are 5 scents in the new Face Mist range: Rose Dewy Glow, Strawberry Smoothing, Mandarin Energising, Mint Mattifying and Coconut Calming – all created for different skin types. 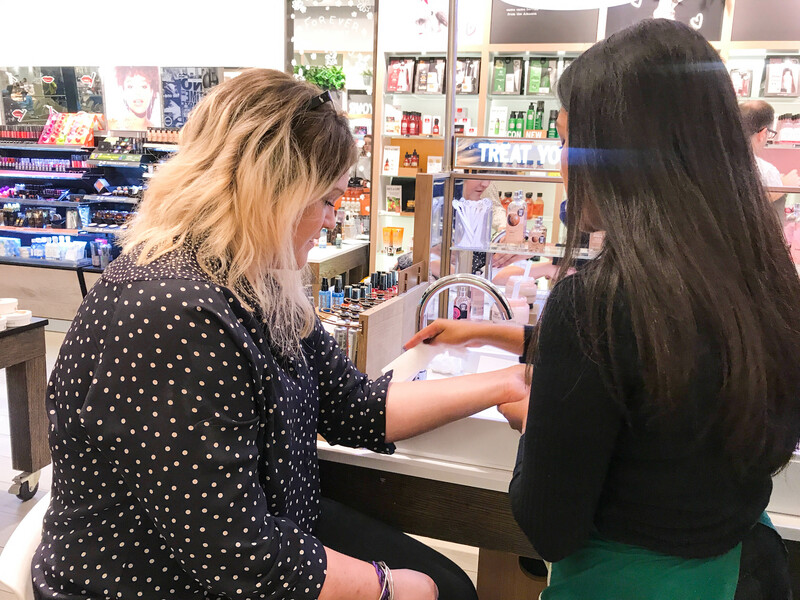 They are all delicately scented, which is great as they don’t irritate your skin and simply leave you feeling refreshed, with a slight fragrance left on the skin. I came away with all five (I couldn’t resist, and at £6 each these are a bargain!) 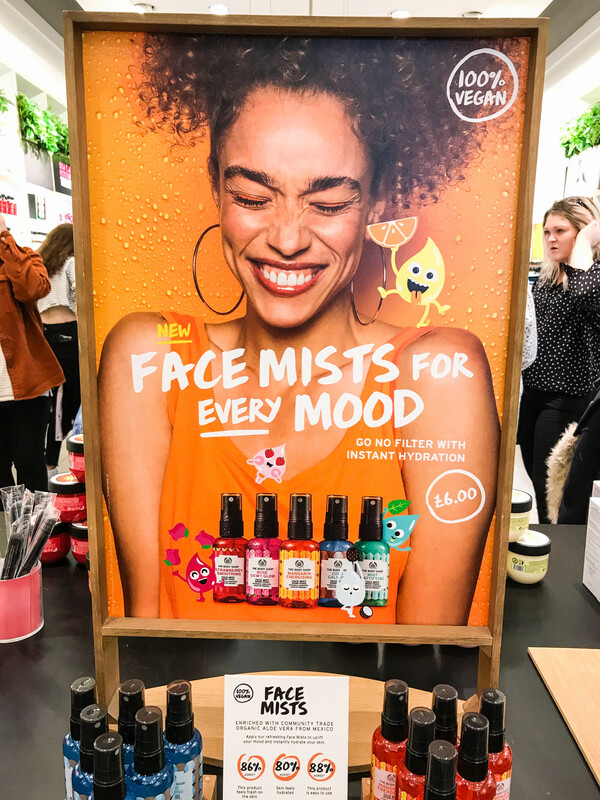 – and so far I’d say that the Strawberry Smoothing Face Mist is my favourite. 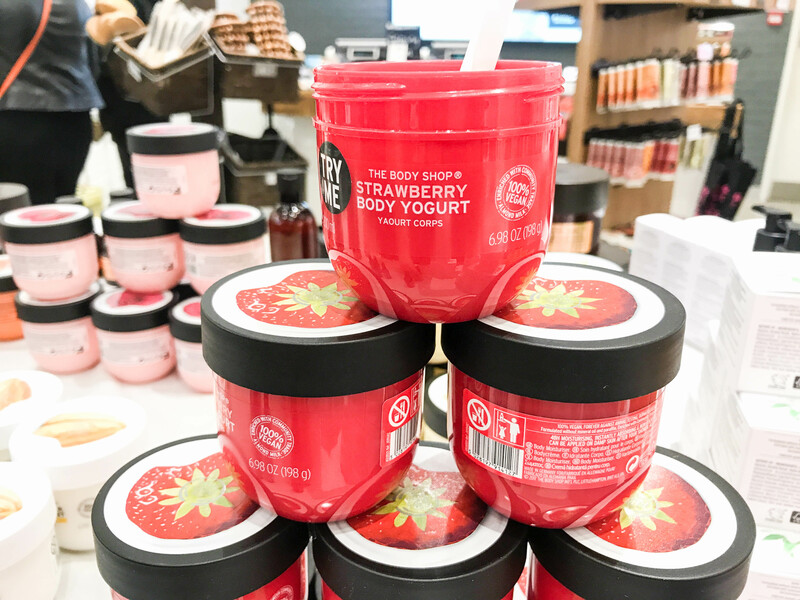 The Strawberry scented products are just irresistible to me! 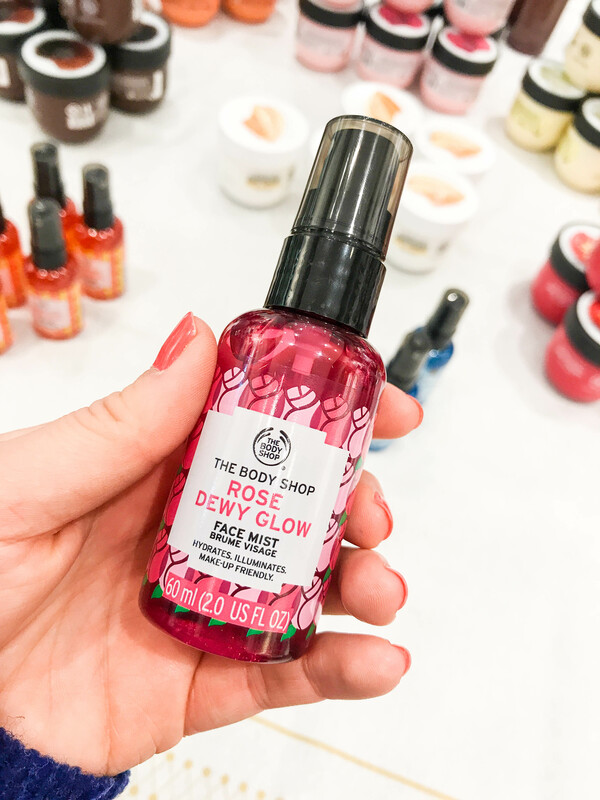 The Rose Dewy Glow Face Mist is another lovely one – this one contains subtle shimmer to illuminate your skin. Perfect for when you’re feeling just a little tired and lack-lustre! Don’t worry though – the shimmer doesn’t look glittery on your skin! 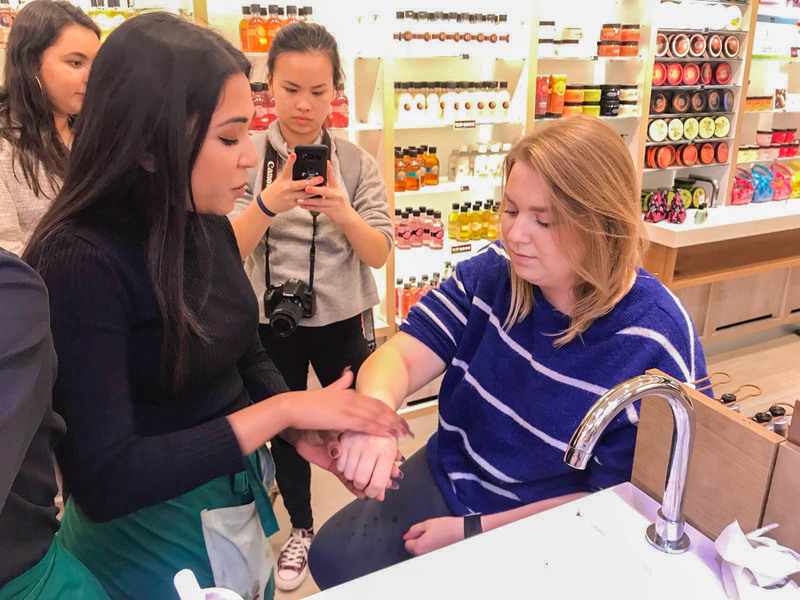 Bex and I were both treated to a lovely hand and arm massage using the new Body Yogurts – I came away smelling of British Rose, and Bex smelt like a Mango. Not bad at all! Make sure to check out Bex’s blog here. 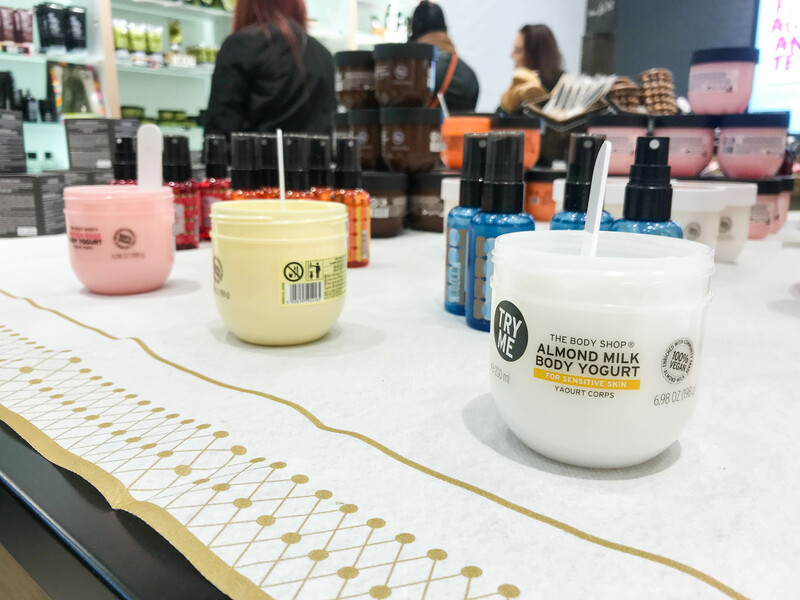 I had a really lovely time exploring the new launches at The Body Shop, and I can’t wait to try all of the new products! Stay tuned to see what I brought home, and what I think so far. I love the original body butters as I have dry skin on my legs and the thickness of them is something I struggle to find in other products. However, I do think that the lightness of the yogurt would be handy during summer!